Summer is prime time for outdoor activities, but a bunch of cantankerous wasps can take the fun out of things very quickly. Wasps are useful for natural pest control, but if you’re like most people, you’d prefer they don’t take up residence in your yard. Wasp is a general term that refers to paper wasps, yellowjackets and true hornets. Although some are solitary, most wasps are social insects. Wasps begin constructing their nests in late spring and continue to build and enlarge throughout the summer. They tend to nest under eaves, inside walls and attics, in trees, and in the ground. It’s important to know the difference because bees shouldn’t be destroyed. Wasps have a pinched waist while bees are plumper. Bees are fuzzier than wasps, which have no body hair. Bees tend to be more docile in nature. You can get rid of wasp nest if you’re brave and properly prepared. Don’t take chances; removing a nest is tricky business. 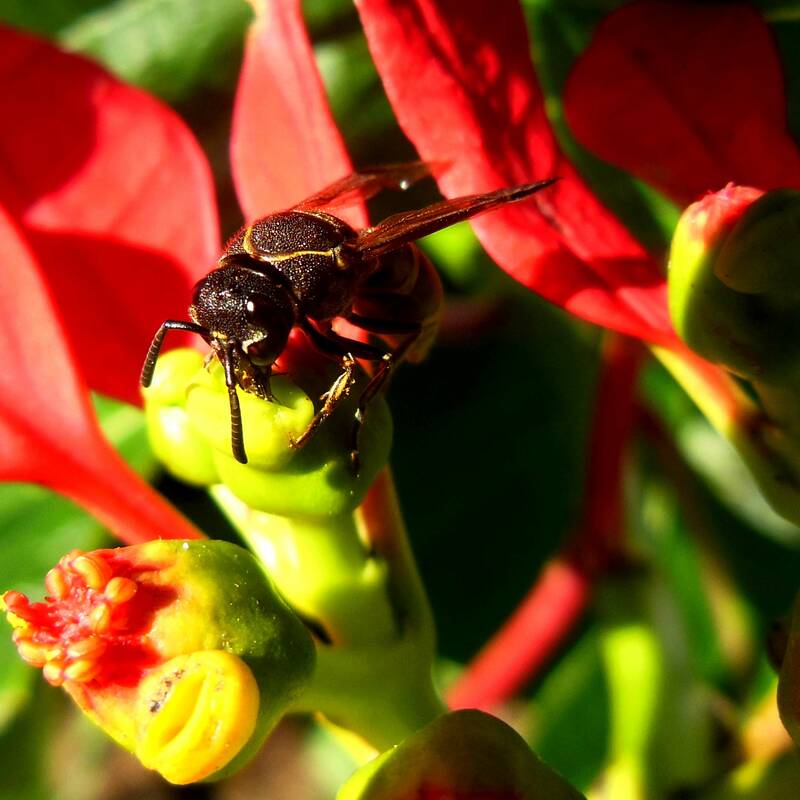 Wasps are protective and won’t hesitate to sting if they feel threatened. Wear protective equipment, including a hat, gloves, eyewear and sturdy shirt and pants that fit tightly at the ankle, neck and wrists. Approach the nest at night when the wasps are in for the evening. This is when they’re least aggressive. 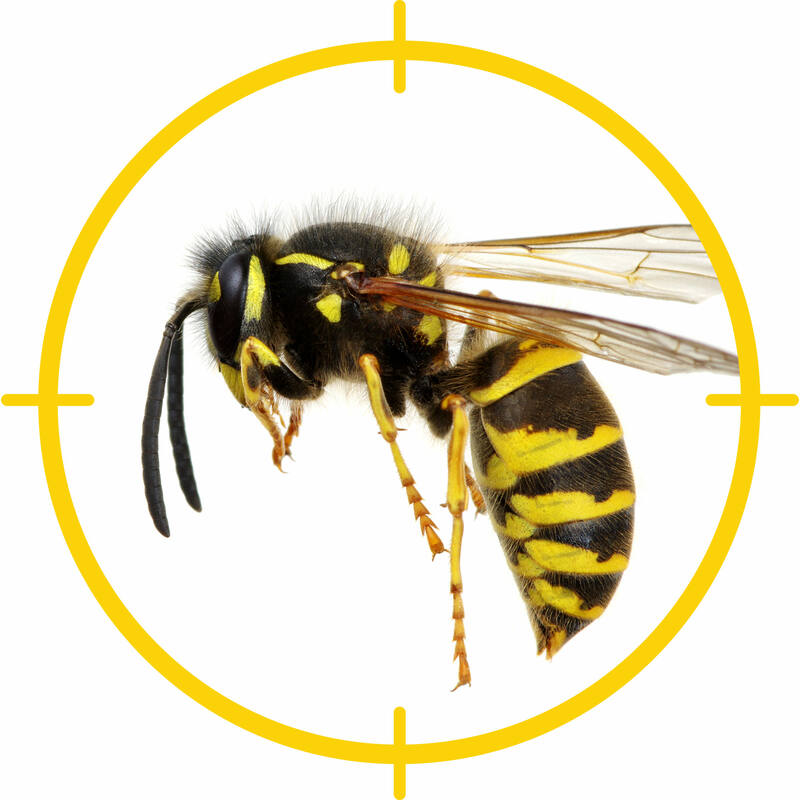 Blast the nest with an aerosol wasp and hornet insecticide, which will knock down nests very quickly from a distance of at least 15 to 20 feet. Protect against a re-infestation in the same area (and other likely areas) by applying a residual aerosol insecticide. Rinse recyclables thoroughly before placing them in the bin. Keep garbage cans tightly sealed and safely away from doors and windows. Repair loose or torn window screens.